I was contemplating on what to post on the blog this week; I was waiting for the Holy Spirit to instruct me on what to publish this week. You won't believe what happened; one of my writers contacted me, he explained how God taught Him about the allegory of the dry bones and God gave him the go ahead to write and also publish it. What an awesome God! God purposely delayed speaking to me because He had prepared Sage to teach us this week. I hope you are excited to read this captivating post. My bible knowledge was actually challenged as I read the post. I had always thought the bones became human beings...actually, let me not give everything away. A quick introduction...Sage is the author of What Men Really Want and You Are Exceptional. At the beginning of the year, I decided I was going to start taking practical steps in my goal of educating the minds of others (myself included). So here is my third attempt at digging into the word and writing about it. This analogy came to me during a Sunday Service in which my pastor preached on dry bones. During the message, I sat there wondering: whatever happened to the dry bones? What happened to the army that was created from those dry bones? They couldn't have simply vanished. Or could they? When you watch Nigerian movies, you watch how people just suddenly disappear only to re-appear in a shrine or in the case of Pirates of the Caribbean, gone to the other world to save Jack Sparrow or retrieve some goblet to drink water and stay forever young. Why did they need those exact goblets! Speaking of bones, I just remembered the Curse of the black pearl and how Barbosa and his crew turned to skeletons under the moonlight. I'm digressing. While I was thinking of all this, I heard the pastor mention that it was a dream and I went oh, I see! So Ezekiel was dreaming all along and all these years I assumed it was real. 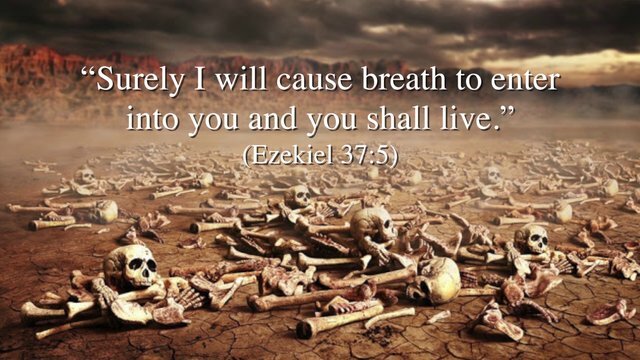 Like Ezekiel was walking and actually stumbled on a valley of dry bones and then proceeded to resurrect them as instructed by God. That would be really awkward. How do you start explaining to them that God rose them up from the dead? How do you explain to people that an army that had been dead for so long their bones had dried up? What would you name each individual? 1 The hand of the Lord was on me, and he brought me out by the Spirit of the Lord and set me in the middle of a valley; it was full of bones. 2 He led me back and forth among them, and I saw a great many bones on the floor of the valley, bones that were very dry. Thankfully, as Vs. 7 & 8 showed, he passed the second test and did as he was instructed. Then came the final test question, as if the previous questions had not been testing enough, God then instructed him to prophecy breath into the bones. I’m sure most of us by now would have gone: Breath?! Into these bones! You first asked me if the bones can live, as a sharp guy I said: you alone knows. You then asked me to prophecy life and flesh into the bones, so I don’t seem stubborn or lacking in faith I did as commanded. Now you’re telling me to speak breath into these bones. Na wa for you oooooo! However, Ezekiel had reached the point of revelation and understanding and passed with flying colors (37:10). What is important to note here is that it is very important as Christians to reach the point of understanding and revelation, otherwise we will respond like Ezekiel did in 37:2. 27 “Yes it is, Lord,” she said. “Even the dogs eat the crumbs that fall from their master’s table. Wow. As in wow. Aunty you try no be small and of course as a result of passing the test, her dry bones were brought to life. Oddly enough as I’m writing this, I just realized that in the cases of these two stories, they were tested three times just to see the level of their faith. Another person that was in Bones Valley was Philip in John 6:4-7. 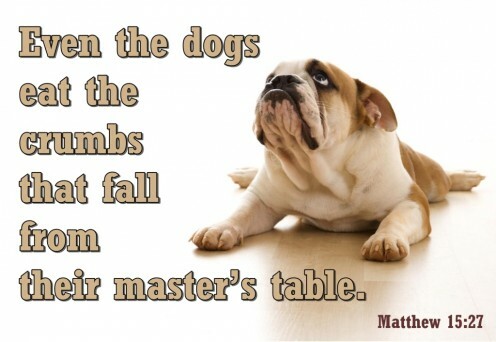 Like John 6:6 tells us, Jesus already knew what he was going to do but he needed to test the faith of those around Him. What is important to notice is that as children of God, there will be times when we are stuck in Bones Valley. It is not because God does not love us or because He doesn’t care for us but because He wants to build up your faith and trust in Him. The only way out is for you to hold fast, grow in faith and trust and know that no matter how dry the bones or how full your valley is, there is a God who can give flesh to those bones and bring them to life. 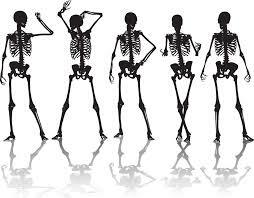 When next you read the Hall of Faith (Hebrews 11), take note of the bones those great men and women of faith had. I can thus submit to you that until you pass the test of faith, you’ll continue to wallow in Bones Valley. What are those bones (issues or problems) in your marriage? In your relationship? In your career? In your finances? In your health? In your ministry? Trust in God, be steadfast in your faith and see your bones come to life. Stay blessed! Thank you for this post Sage. I believe the dry bone are definitely important in our lives else, how can we show the world that the God we serve can do the impossible. An important point I picked from this write-up is to never give up on God. 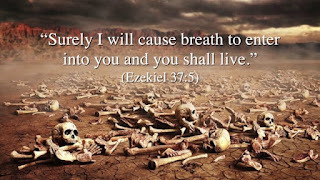 Ezekiel (as well as the Canaanite woman) could have given up when he saw that the bones were very dry but he didn't, he trusted that God could do even what his mind conceived to be impossible (Mk 9:23). My final words are: "Trust God Even if it Hurts"
Thank you Twale. I love your overall summary. May we make the choice to trust in God even when it hurts in Jesus name.